Going through a divorce is a messy process. Indeed, having to air dirty laundry, allocate assets, and separate from someone you planned to be with forever, is often too much trauma for one to bear. What's more, these issues are almost always heightened when there are children involved. Lines are crossed, feelings are hurt, and in the end you may be left standing across from someone you wish you had never known. Given the many twists and turns of the overall court proceedings, landing in a place in which you and your ex can amicably co-parent is about all most can hope for. That being said, please review the following tips and tricks from our Burlington Family Lawyers in regards to how to set suitable boundaries with your ex for a more pleasant co-parenting experience. Let's begin at the beginning, there is almost no possible way to have a respectable relationship with someone if you can't even have a simple conversation. That is to say, there will likely be a plethora of instances in which you wish not to speak with your ex. Nevertheless, it is highly important to be able to keep that line of communication open for the sake of the children. Therefore, the best way to proceed may be to restrict conversation to only what is vital. For instance, your ex definitely deserves to know that your child is sick, or had an accident in school. However, they do not need to know how you feel about it, nor do they need any reminders of things they may have done wrong in the past. Just keep it simple and end the conversation as soon as possible! The next issue that needs to be addressed is that of picking up/ dropping off the kids. Although this may seem like the least of your concerns, this is something you should most assuredly give a significant level of consideration to. Despite having convinced yourself that you have long since moved on, old emotions can and will come to the surface at the mere sight of your ex. Bickering in front of your children is both traumatizing and inappropriate, and should be avoided at all costs. No matter what your issue is, please put it aside to address it at a time when the children aren't around. In fact, you might want to agree to speak of personal grievances via a co-parenting communication tool, email or text message only. This way, you not only have the added protection of literally having everything spelled out in front of your face for your records, you also have the added buffer of being able to organize your thoughts instead of replying out of anger and saying things you may regret later. This one typically gets a bit sticky... No matter your age or history, the likely event that you and/or your ex will find at least one new love interest, is a very real possibility. This is largely due to the fact that a broken unit typically leaves a void in the hearts of all parties involved. To be quite candid, if your ex moves on first, it's highly unlikely that you will be very fond of their new partner (at least in the beginning). The best course of action? Have as little interaction with this person as possible. And if you're the one who moves on first, do not try to force a relationship between your new love, and your ex. These things always take time and if this person is someone who plans to be around, it will likely work itself out, and if not, it's essentially irrelevant. Trying to force your ex to accept your new relationship will only cause more harm than good. Instead, understand that it's a difficult situation for everyone and handle it with care. For anyone who has children with an ex, relocating is the mother load of confusion. 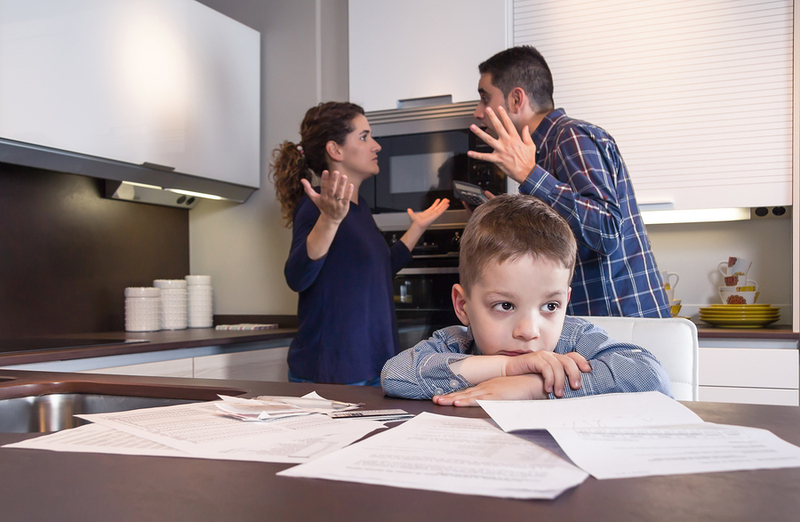 Specifically, the matter of whom will keep the kids (especially if you have joint custody), is one that has caused much turmoil and has even led many to commit violations or even serious crimes, in an attempt to try and silence the opposing partner. That being said, the only way to proceed is to be respectful of your ex's feelings no matter if you're the one moving or staying behind. It's common to have a bad reaction to the notion of your kids being moved away from you. Therefore, it should be clear that they will always be a welcome part of the children's lives, no matter where you choose to live. Overall, divorce is the literal death of a relationship. Though it is saddening and grief filled, there is absolutely no reason why the two of you can't work together to raise happy, well-adjusted kids. This article was submitted by Haber & Associates. They are an experienced specialty law firm with dedicated teams for specific cases, including family, employment, corporate, real estate, and personal injury lawyers. Aside from practicing law, the firm is a community partner, having continued to act philanthropically throughout its 40 years.